Time Melasma will often disappear of its own accord over time. There is no way of knowing when, you simply have to be patient, annoying as it may be. Make Up Covering the darker areas of skin using make up is something most female melasma sufferers will do on a daily basis. Even some men. This kit by Benefit contains all the concealer you need to cover up your melasma. Sunscreen Melasma is a condition worsened by sun exposure so using sunscreen every day is a must, even on cloudy days the sun rays can still penetrate through. 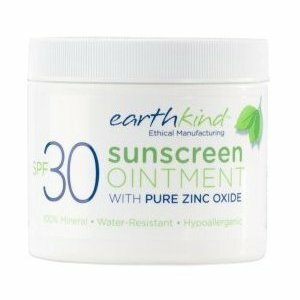 Mineral sun creams containing zinc oxide or titanium offer the best protection by forming a physical barrier rather than a chemical one. Wear a Hat Invest in a wide brimmed sun hat to protect your face from the sun. The bigger the better! Hair Removal Hair removal creams or waxing the top lip can trigger Melasma so try changing your method and see if it makes a difference. 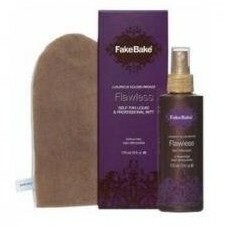 Fake Tan Instead of having a real tan – Fake It! No-one will know the difference and an added benefit is less wrinkles! Take a small bottle of self tan with you on holiday and use it on your face. Medication Some medications such as tetracycline, and some anti-seizure and anti-malaria drugs can cause Melasma. Changing your medication could improve your condition. Birth Control Oral Contraceptive Pills can cause Melasma, one particular brand name known to be associated with Melasma is Dianette. Speak to your doctor about changing your pill or method of contraception. Pregnancy Melasma is known as ‘The Mask of Pregnancy’ due to hormonal changes which trigger the condition so if you are pregnant or have recently given birth, your symptoms may soon disappear on their own.